Snow Escape Holidays offers some great Jindabyne holiday properties. From budget homes to luxury townhouses. All our properties come with luxury linen and designer bathroom amenities. We want our guests to experience Jindabyne and the Mountains as locals. We will let you know the hidden gems of the area. from food to activities. You can bring your dog on holidays at these dog friendly properties! 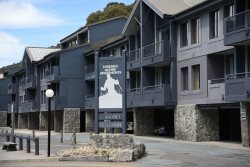 We have a great selection of Thredbo Accommodation. From studio to 4 bedroom luxury holiday homes. We provide our guests with a personal booking service. Contact our office for your next Thredbo holiday.